Estonian President Toomas Hendrik Ilves said Monday that a free and open Internet is the life-blood of modern democracy and requires protection, especially in light of the recent cyber-attacks on Sony, which threaten everyone's liberties world-wide if the intimidation is allowed to stand. 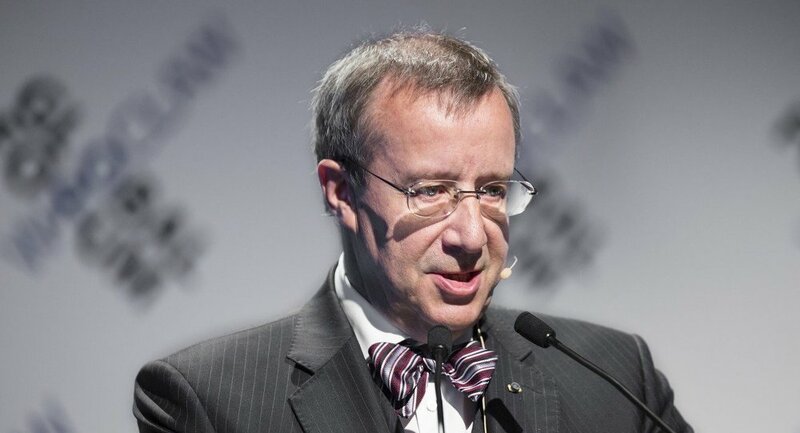 MOSCOW, December 22 (Sputnik) — A free and open internet is the essence of modern democracy, while cyber-attacks threaten our liberties, Toomas Hendrik Ilves, the President of Estonia, said Monday. "Destructive cyber-attacks as we have seen in the Sony case threaten all of our liberties world-wide if the intimidation is allowed to stand. A free & open internet is the life-blood of 21st century democracy, world-wide. Its defence needs all like-minded nations' cooperation," Ilves said on his Twitter account. This statement comes a few days before the Sony Pictures' movie "The Interview", a comedy about an assassination attempt of Kim Jong-un, was supposed to be released. A cyber-attack undertaken by the "Guardians of Peace" hacker group on Sony came ahead of the film’s release. According to media reports, salary figures, credit card numbers and passwords were among the data stolen by the hackers. Some media have reported that the FBI has blamed North Korea for the attack. Last week, Sony canceled the Christmas release of "The Interview" after the hackers made terror threats to the company and any US movie theaters showing the movie.